Following the passage of the extenders legislation, the Internal Revenue Service announced today it anticipates opening the 2016 tax filing season as scheduled in January. Tax Season 2016 is expected to start very soon. Up to 8 days before Tax Season 2015 did. IRS announced official first day to file taxes in 2016 recently. The IRS will begin accepting 2016 tax returns electronically on Jan. 23, 2017. Mailed 2016 Tax Returns will begin processing around the same time. We have updated this date based on the IRS recent notice here. The decision follows Congress renewing a number of “extender” provisions of the tax law that expired at the end of 2014. These provisions were renewed by Congress through the end of 2014. The final legislation was signed into law Dec 19, 2014. More information about IRS Free File and other information about the 2016 tax filing season will be available in January. Details and IRS Refund Cycle Chart available here. Get an early start on Tax Season 2016 by calculating your 2016 Tax Refund with our Refund Calculator. The first day to file taxes is the first week of January 2016 in most cases. The IRS will begin processing and accepting returns on January 11, 2016. This is the expected start date; however, many tax companies have announced dates for 2016. This IRS e-file open date is to be determined later this year, pending legislation on tax extenders. Below are the dates for TurboTax, H&R Block, TaxAct and others. Why Wait? Start Your 2015 Taxes Today! In January, E-file for Your Fastest Refund possible. Thinking about the first day to file taxes in 2016, even before the end of 2015, is common for many taxpayers. Many people look forward to large tax refunds in 2016 and as the summer winds down, the thoughts of holidays start. 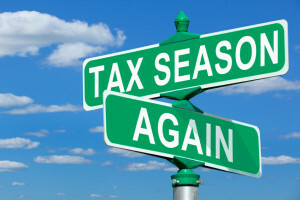 Wondering how they will get through the holidays on a strapped budget, easily leads to early filers beginning to ask “what is the first day I can file my tax return in 2016?”. This might sound crazy to some people that don’t live paycheck to paycheck; but, a large tax refund is a much needed boost to income in the beginning of each year for many people. And soon enough, big box tax preparers such as H&R Block or TurboTax will start sending emails to prior year customers with updated filing information along with their user ids in hopes they will file with them again. We will watch and post updates when the IRS announces the opening of tax season, 2016 refund schedule, potential refund delay issues and other key dates. first day to file taxes 2016.